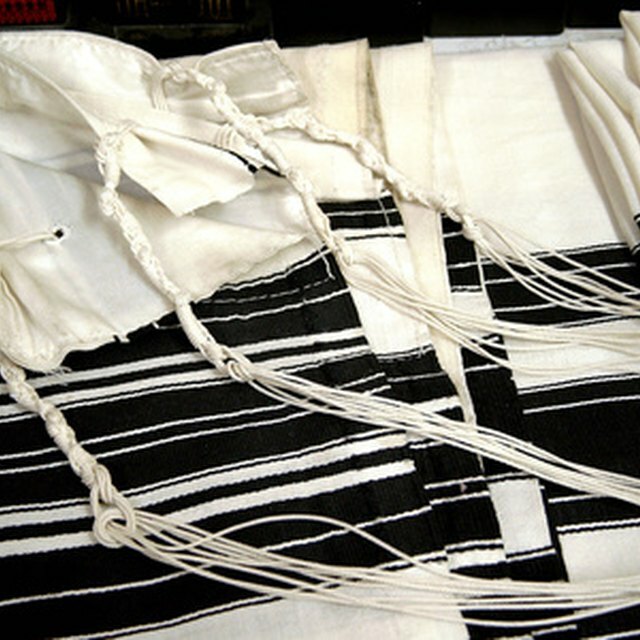 What Is the Meaning of the Jewish Prayer Shawl? 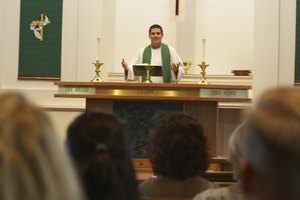 How Do Jews Worship in Synagogues? Men should wear a kippah (a skull cap) while they pray. In Orthodox Judaism, prayer is both a devotion and discipline. For Jews, it is a way to access and talk with an all-powerful and omnipresent God. Although prayers can be spontaneous, Orthodox Jews also follow a rigorous prayer schedule. As the Jewish population dispersed after the destruction of the First Temple in Jerusalem in 587/586 B.C.E. Jews began to lose the ability to speak in the ancient language (Hebrew) of their sacred texts. As a result, Jewish leaders decided to create a standardized text and schedule for prayers, which Orthodox Jews still follow today. Customarily, Jews are supposed to pray three times a day, during the morning ("Shacharit"), afternoon ("Minchah") and in the evening ("Maariv"); during Shabbat and the Jewish holidays, an additional prayer ("Mussaf") is added. However, Reform Jews are not required to pray three times a day (although they can), while Orthodox Jews are and conduct these three prayers during formal worship services, every day. The most important aspect of these prayers is the "Amidah" -- meaning "standing" -- which is a series of 19 blessings. The Amidah, always uttered while one is standing, consists of three prayers of praise, 13 prayers of petition and three prayers of thanksgiving. Its ancient name is "shemone esre," which means "eighteen"; the 19th prayer was added to the Amidah during the first century C.E. In addition to the Amidah, the Shema is also added during morning and evening prayers, which is a daily declaration of faith. Additionally, Jews also read excerpts from the Hebrew Bible and the Talmud; personal prayers are often added throughout the day. 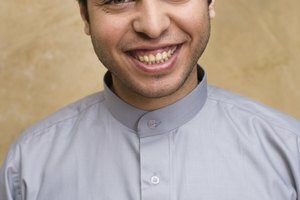 Orthodox Jewish men also wear specific types of clothing when they pray, especially when prayer is conducted at a synagogue; this includes a kippah, tallit and tefillin. A kippah is a type of skull-cap used to cover the head (Orthodox Jewish women keep their heads covered at all times). 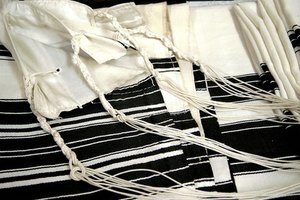 Men also wear the tallit, which is a special type of shawl, as well as the tellifin, which is made up of two small black boxes with black straps. 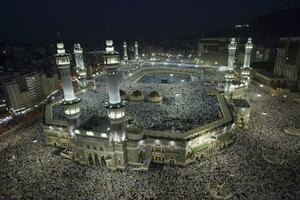 During morning prayer, one box is placed on the head, while the other is tied to the arm. Kept within the boxes are excerpts from the Torah. Community plays an integral role within the Jewish faith, as it is a religion defined by the covenant made between God and his chosen people. Therefore, the community also plays a vital role in daily prayer. Within the daily Jewish prayer book used to guide followers (called the "Siddur"), prayers are made in a communal voice, as "we" is prioritized above "I." Although an Orthodox Jew can pray on his own, the Judaic tradition very much encourages group prayer, which take place at the synagogue. Traditionally, synagogues have been built with the direction of Jerusalem in mind: Although not always possible, private and communal prayers done in one's home and in a synagogue should be made while facing Jerusalem. This holiest of cities for Jews is mentioned hundreds of times throughout the Hebrew Bible and believed to be the religion's permanent capital. 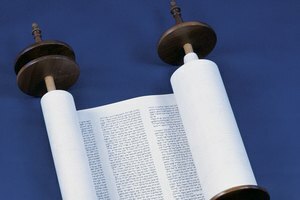 Chabad.org: What is Jewish Prayer? Chabad.org: Why Do Jews Love Jerusalem? 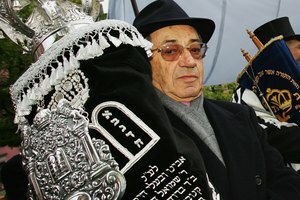 What Is a Minyan in a Jewish Funeral Ceremony? Cristiano, Jason. "Prayer Rituals for Orthodox Jews." Synonym, https://classroom.synonym.com/prayer-rituals-for-orthodox-jews-12086846.html. 10 October 2017.